Trucking operators and drivers in the dangerous goods sector may soon need to change the way they store transport documents in their rigs. 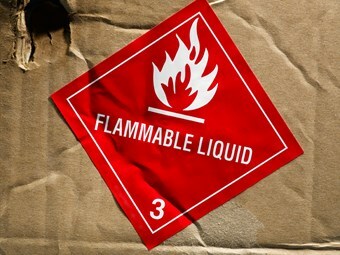 A proposal released today by the National Transport Commission (NTC) to bring the seventh edition of the Australian Dangerous Goods Code (ADG7) in line with international regulations tinkers with the requirements governing the storage of transport documents. The NTC wants operators and drivers to be required to store documents in emergency information holders (EIHs). It says the existing code does not mandate how the documents should be carried or where they should be located, which has made it hard for roadside enforcement officers to locate them. It says there is also an increasing trend of drivers being given transport documents bundled with general consignment notices that cannot fit in holders. "The draft provision imposes a clear requirement for prime contractors and drivers to carry transport documents in EIHs in the case of placard loads," the NTC says. "Having ready access to the information contained in transport documents is considered as important as access to emergency information in the event of an incident, and arguably more important for compliance and enforcement purposes." The NTC’s proposal will also amend the code to make it a condition for supplying transport documents suitable for placing in EIHs. It says the amendment is designed to address the problem of operators and drivers receiving documents that do not fit in the holders. "Additionally, a new provision will be inserted to prevent drivers being handed documentation in sealed envelopes from consignors as this prevents drivers meeting their obligations under ADG7," the NTC says. It is one of a number of proposals, which include updating markings and labels and introducing a requirement for prepared emergency plans to be followed in an emergency situation. The NTC also recommends clarifying requirements covering insurance for heavy vehicles. ADG7 states trucking operators must have a vehicle insured for at least $5 million. The NTC says the wording of a subclause in the code has led some operators to mistakenly believe increased cover is required for multi-combination trucks, such as $10 million for a B-double and $15 million for a road train. "As this was not intended to be the case, it is proposed to add an explanatory note to clarify that more than one trailer in a combination can be covered under the same $5m policy," the NTC says. The ADG7 is based in the United Nations’ model regulations. The NTC says its proposed amendments will adopt the latest UN regulations. ADG7 was published in 2007 to align with the 15th edition of the UN regulations. The UN regulations are now in their 17th edition. "In addition to the updates based on the latest UN regulations, since ADG7 was introduced in 2007 our stakeholders have identified a number of issues, including corrections, technical updates and clarifications of existing legislative requirements. These also form part of the amendment package released today," NTC CEO Paul Retter says. "Dangerous goods can present an acute risk to life, health, property and the environment, especially when being transported. The changes we have proposed will ensure that dangerous goods continue to be safely and efficiently transported in Australia." Data from the Australian Bureau of Statistics show the dangerous goods sector makes up about 8 percent of the country’s freight task, while New South Wales puts the figure between 10 and 15 percent.